astropy.wcs contains utilities for managing World Coordinate System (WCS) transformations in FITS files. These transformations map the pixel locations in an image to their real-world units, such as their position on the sky sphere. These transformations can work both forward (from pixel to sky) and backward (from sky to pixel). Core WCS, as defined in the FITS WCS standard, based on Mark Calabretta’s wcslib. (Also includes TPV and TPD distortion, but not SIP). table lookup distortions as defined in the FITS WCS distortion paper. Each of these transformations can be used independently or together in a standard pipeline. Call the WCS constructor with an astropy.io.fits Header and/or HDUList object. Optionally, if the FITS file uses any deprecated or non-standard features, you may need to call one of the fix methods on the object. all_pix2world: Perform all three transformations in series (core WCS, SIP and table lookup distortions) from pixel to world coordinates. Use this one if you’re not sure which to use. wcs_pix2world: Perform just the core WCS transformation from pixel to world coordinates. all_world2pix: Perform all three transformations (core WCS, SIP and table lookup distortions) from world to pixel coordinates, using an iterative method if necessary. wcs_world2pix: Perform just the core WCS transformation from world to pixel coordinates. sip_pix2foc: Convert from pixel to focal plane coordinates using the SIP polynomial coefficients. sip_foc2pix: Convert from focal plane to pixel coordinates using the SIP polynomial coefficients. p4_pix2foc: Convert from pixel to focal plane coordinates using the table lookup distortion method described in the FITS WCS distortion paper. det2im: Convert from detector coordinates to image coordinates. Commonly used for narrow column correction. This example loads a FITS file (supplied on the commandline) and uses the WCS cards in its primary header to transform. # to convert pixel coordinates to world coordinates. # Three pixel coordinates of interest. # Note we've silently assumed an NAXIS=2 image here. # The pixel coordinates are pairs of [X, Y]. # have 0-based (Numpy-like) coordinates. # Convert the same coordinates back to pixel coordinates. This example, rather than starting from a FITS header, sets WCS values programmatically, uses those settings to transform some points, and then saves those settings to a new FITS header. # Convert pixel coordinates to world coordinates. # PrimaryHDU and write it to a file. The members of the WCS object correspond roughly to the key/value pairs in the FITS header. However, they are adjusted and normalized in a number of ways that make performing the WCS transformation easier. Therefore, they can not be relied upon to get the original values in the header. To build up a FITS header directly and specifically, use astropy.io.fits.Header directly. RADECSYS is non-standard, use RADESYSa. 'length': have 'Hz', want 'm''. - 'unitfix' made the change 'Changed units: 'HZ      ' -> 'Hz''. Bounds checking is enabled by default, and any computed world coordinates outside of [-180°, 180°] for longitude and [-90°, 90°] in latitude are marked as invalid. To disable this behavior, use astropy.wcs.Wcsprm.bounds_check. Though wcslib 5.4 and later handles SIP polynomial distortion, for backward compatibility, SIP is handled by astropy itself and methods exist to handle it specially. WCS objects can be broken apart into their constituent axes using the sub function. There is also a celestial convenience function that will return a WCS object with only the celestial axes included. The pixel scales of a celestial image or the pixel dimensions of a non-celestial image can be extracted with the utility functions proj_plane_pixel_scales and non_celestial_pixel_scales. Likewise, celestial pixel area can be extracted with the utility function proj_plane_pixel_area. The WCSAxes framework, previously a standalone package, allows the WCS to be used to define projections in Matplotlib. More information on using WCSAxes can be found here. astropy.wcs contains utilities for managing World Coordinate System (WCS) transformations in FITS files. These transformations map the pixel locations in an image to their real-world units, such as their position on the sky sphere. Core WCS, as defined in the FITS WCS standard, based on Mark Calabretta’s wcslib. See Wcsprm. Simple Imaging Polynomial (SIP) convention. See Sip. table lookup distortions as defined in WCS distortion paper. See DistortionLookupTable. Get the path to astropy.wcs’s C header files. Prints a WCS validation report for the given FITS file. Represents a single lookup table for a distortion paper transformation. One or more of the world coordinates is invalid. The subimage specification is invalid. The WCS transformation is invalid, or the transformation parameters are invalid. An error class used to report non-convergence and/or divergence of numerical methods. No WCS keywords were found in the given header. The linear transformation matrix is singular. The Sip class performs polynomial distortion correction using the SIP convention in both directions. A class to store the information related to tabular coordinates, i.e., coordinates that are defined via a lookup table. WCS objects perform standard WCS transformations, and correct for SIP and distortion paper table-lookup transformations, based on the WCS keywords and supplementary data read from a FITS file. Base class of all invalid WCS errors. Wcsprm performs the core WCS transformations. Add a new Stokes axis that is uncorrelated with any other axes. For a WCS returns False if square image (detector) pixels stay square when projected onto the “plane of intermediate world coordinates” as defined in Greisen & Calabretta 2002, A&A, 395, 1061.It will return True if transformation from image (detector) coordinates to the focal plane coordinates is non-orthogonal or if WCS contains non-linear (e.g., SIP) distortions.. Calculate the pixel scale along each axis of a non-celestial WCS, for example one with mixed spectral and spatial axes. 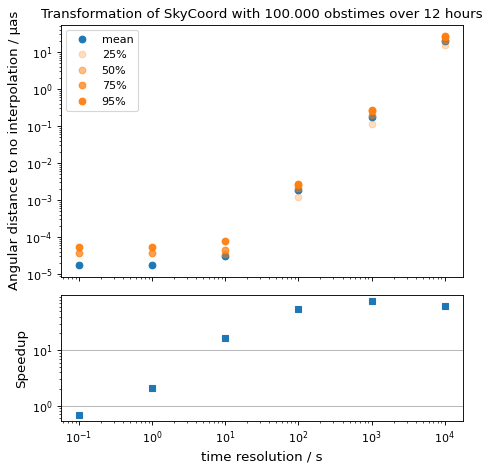 Convert a set of SkyCoord coordinates into pixels. Convert a set of pixel coordinates into a SkyCoord coordinate. wcslib is licenced under the GNU Lesser General Public License.